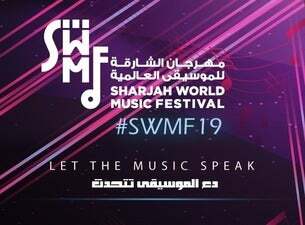 Sharjah World Music Festival was founded and directed by Furat Qaddouri and sponsored by Sharjah Commerce and Tourism Development Authority (SCTDA) in 2014. The event is organized by Furat Qaddouri Music Center to join cultures, visions, and languages on a musical platform, introducing world-renowned musicians and singers to establish a spectacular journey of music that offers a powerful and diverse variety in bridging worlds together. An extravagant yearly Music festival it’s on the 6th year that will be held in Sharjah’s tourist spots. www.sharjahmusic.com.